STS Line Maintenance is hiring Entry-Level A&P Line Maintenance Technicians in Chicago, Illinois. Recent graduates welcomed! Work will be performed at MDW airport with a focus on servicing / maintenance of the B737 and A320 aircraft. There is no need for extensive experience. We will happily consider fresh graduates who are eager and ready to get to work as a part of the largest active Line Maintenance network in the United States. Keep in mind that an active FAA Airframe and Powerplant certification is required. Must be willing to work shift work and will rotate between midnights and days. 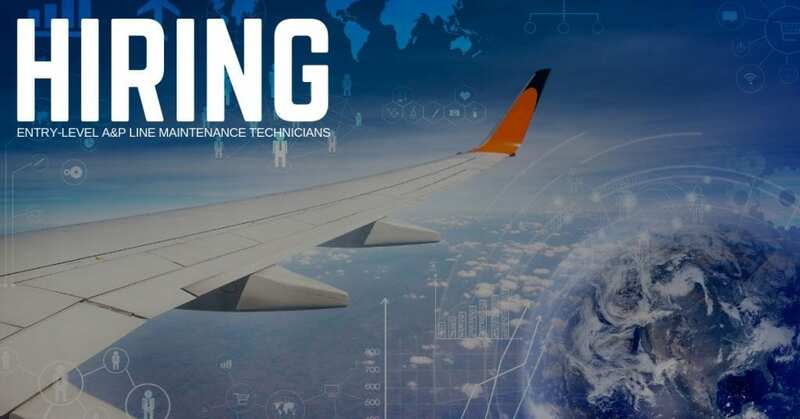 STS Line Maintenance services commercial and regional airlines operating out of 32 airports in the United States as well as the Bahamas. The company offers a full range of support services, FAA / DER and engineering assistance, AOG response teams and enhanced reliability through rapid response times. We proudly offer competitive rates, direct deposits, medical insurance, cash advances, and referral bonuses.